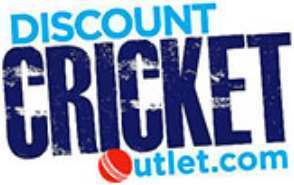 The Discount Cricket Outlet was incorporated in 2012 to provide cheap cricket equipment by website sales only. The overheads and expenses saved by not having a retail outlet are passed onto the customer through discounted prices on the cricket equipment and cricket bats we sell. Trading from our large warehouse and offices in Bradford, research has shown that Discount Cricket Outlet consistently offers the exact same cricket equipment to other cricket retailers at approximately 5% lower on price, a considerable saving. Our Company employs ex professional cricketers to ensure that all cricket bats and cricket equipment is hand selected by experts so you can purchase your cheap cricket equipment safe in the knowledge that it is of premier quality. Cricket Bats – We sold over 1000 cricket bats in 2017 and stock all brands including New Balance, Adidas, Gray Nicolls, GM, Kookaburra and Kippax. We also have a wide range of junior cricket bats and equipment with most being at our sale or discounted price. Cricket Bags – With one of the largest selections of cricket bags in the UK we have over 40 different options. They range from the junior cricket bag to extensive amount of duffle bags through to the large wheelie bag which could fit a small person inside. All our bags, like cricket equipment, are at sale prices and carry large discount. Cricket Shoes – Discount Cricket Outlet stocks Adidas, New Balance, Puma and Asics as our specialist cricket shoe range. From full spikes to indoor rubbers we stock all boots and footwear at heavily reduced prices. Our size range runs from junior cricket shoes at size 1 through to monster sized 13 boots. Cricket Helmets – Masuri and Shrey cricket helmets are our biggest sellers and we sold well over 1000 helmets in 2017. We also offer more budget and discounted options through Gray Nicolls and Gunn and Moore catering for seniors and juniors alike at discount prices. International Delivery – Discount Cricket Outlet has supplied over 40 countries with cricket bats and cricket equipment around the World. We use Fedex International delivery which delivers mainly next day delivery to USA, Canada, Dubai, Europe, South Africa and more. We also offer a 48 hour delivery service to Australia and New Zealand. With International Shipping starting at just £14.99 we are one of the best value cricket stores in the World when purchasing overseas. Domestic Delivery – Spend over £50 and you will receive your sale or discount cricket kit next day delivery absolutely free of charge. We supply customers in most of the large cities and towns in the UK including London, Manchester, Birmingham, Liverpool, Newcastle, Southampton, Oxford, Edinburgh, Glasgow, Dundee, Cardiff, Kendal, Retford, Derby, Leicester, Cambridge, Northampton, Canterbury, Truro, Worcester and many more.